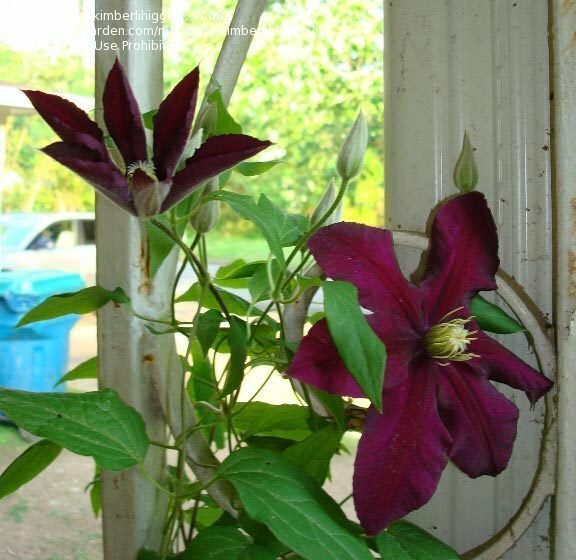 Shows both the beginning color and the faded color after several days. 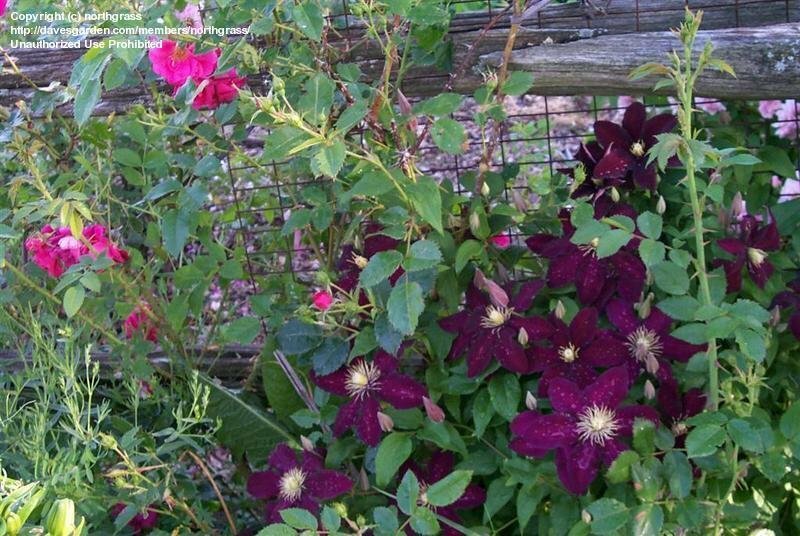 Quite a nice combo. 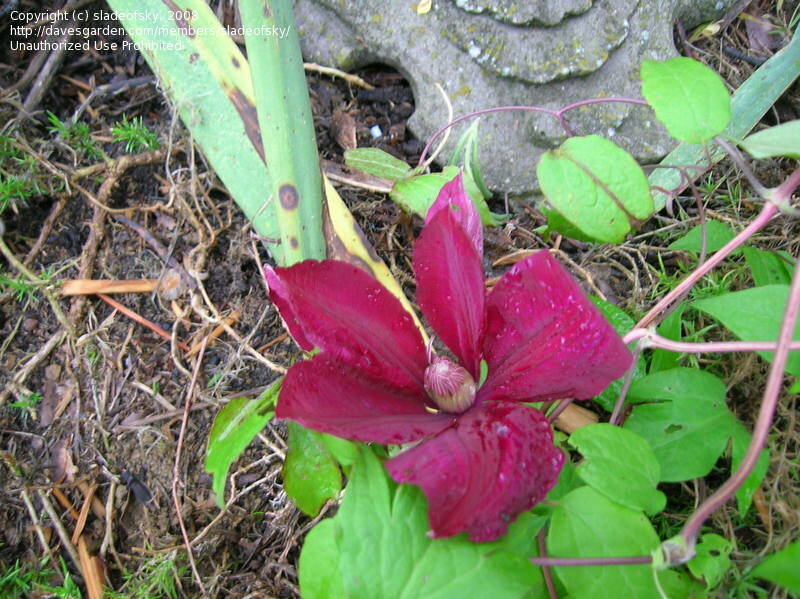 Neglected 2 yr old plant growing in shady corner, in wet, clay soil. 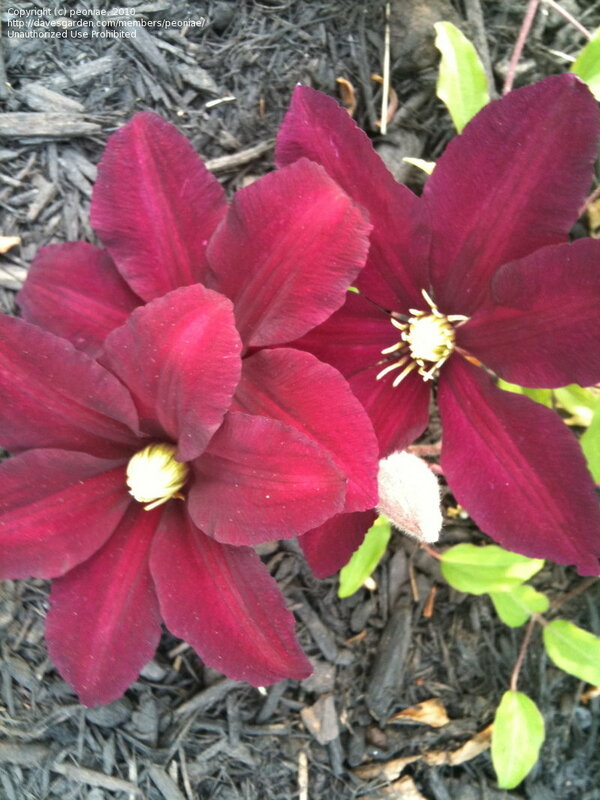 Planted last fall, it already bloomed for me! 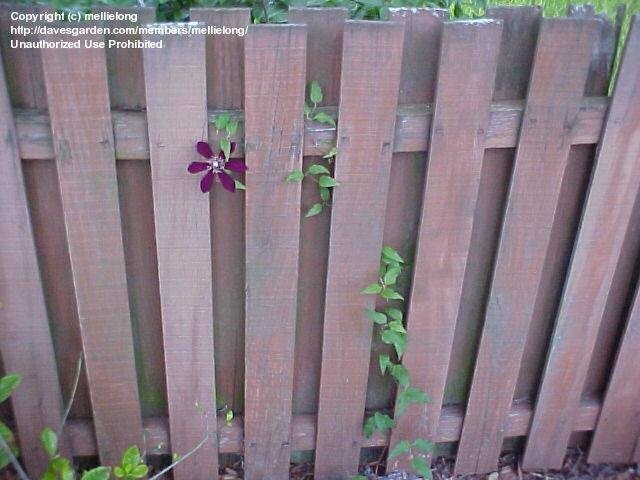 Soon it will take over the fence! 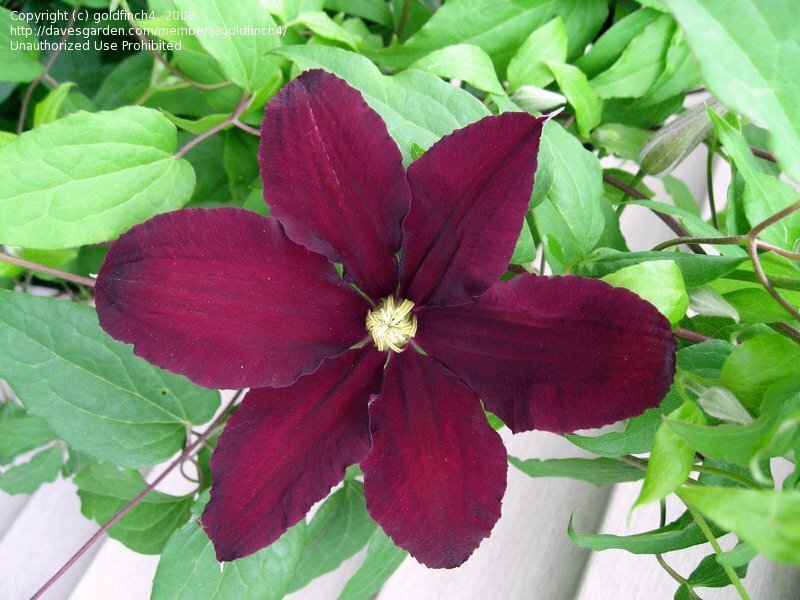 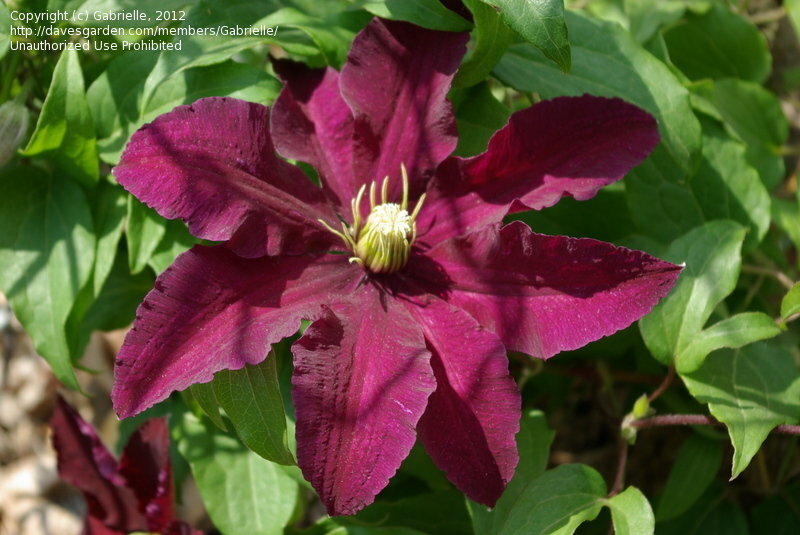 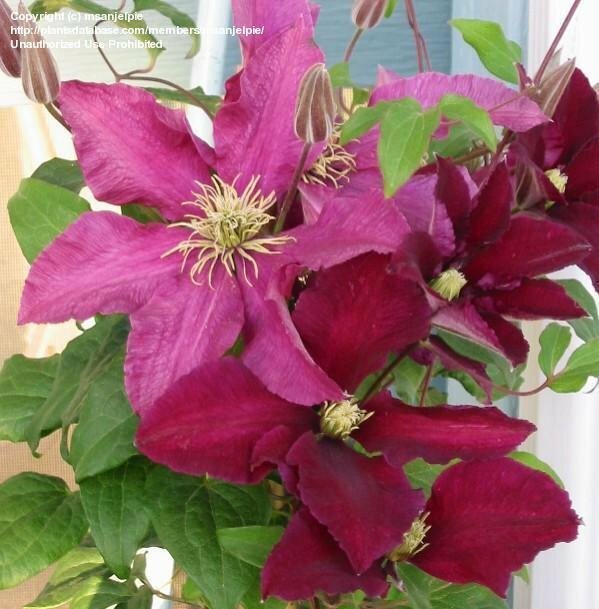 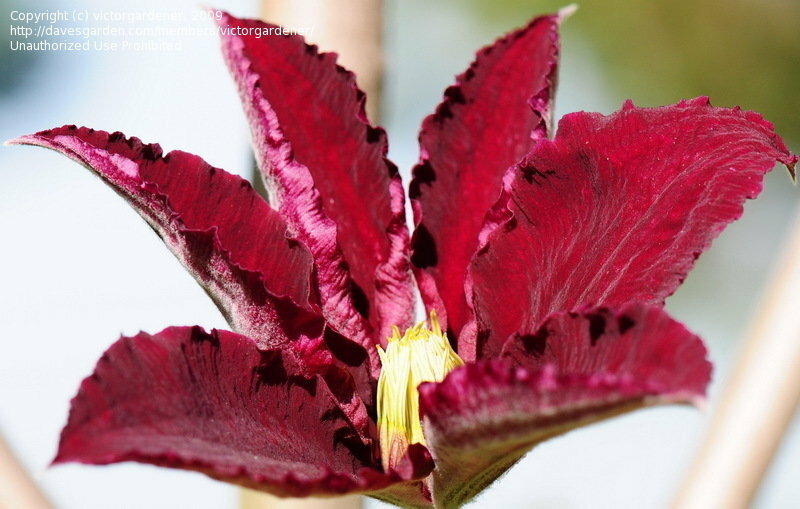 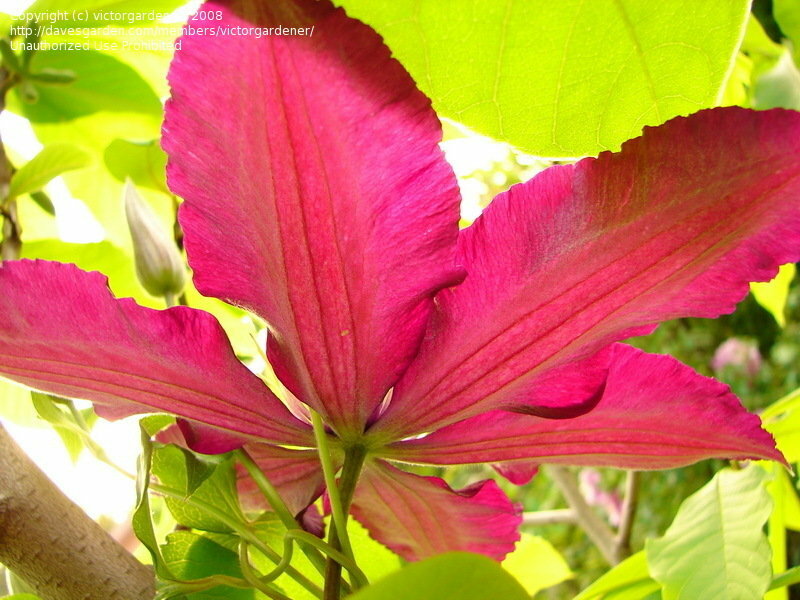 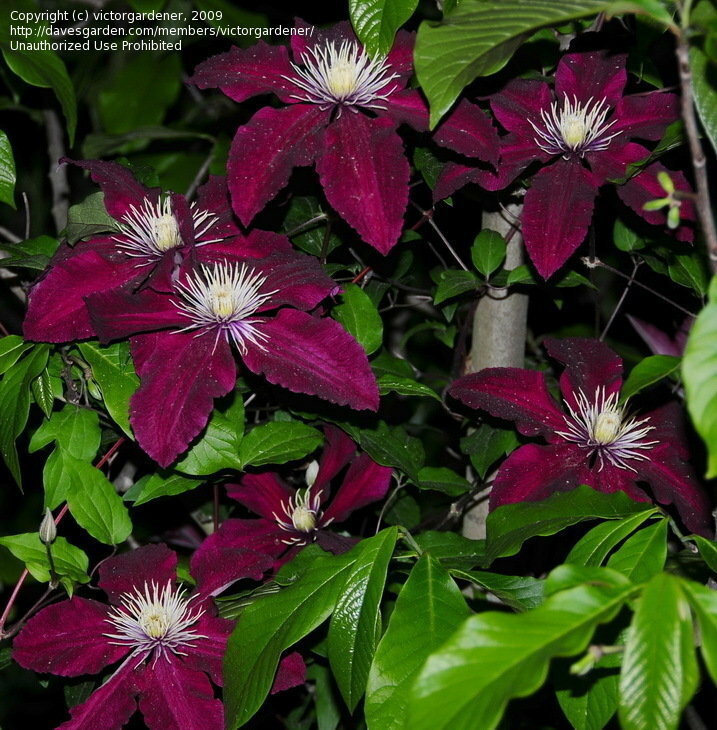 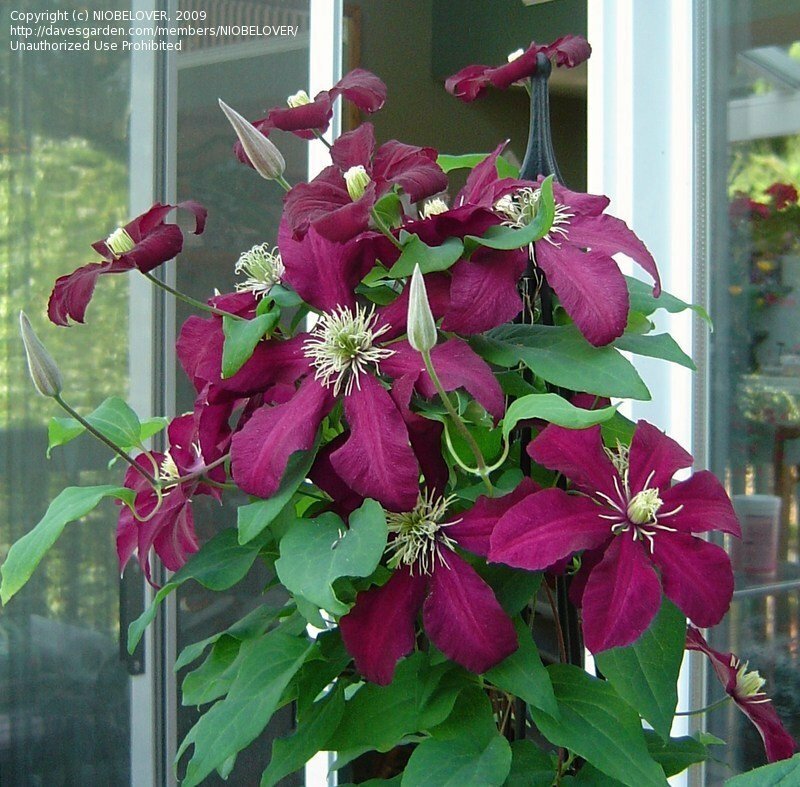 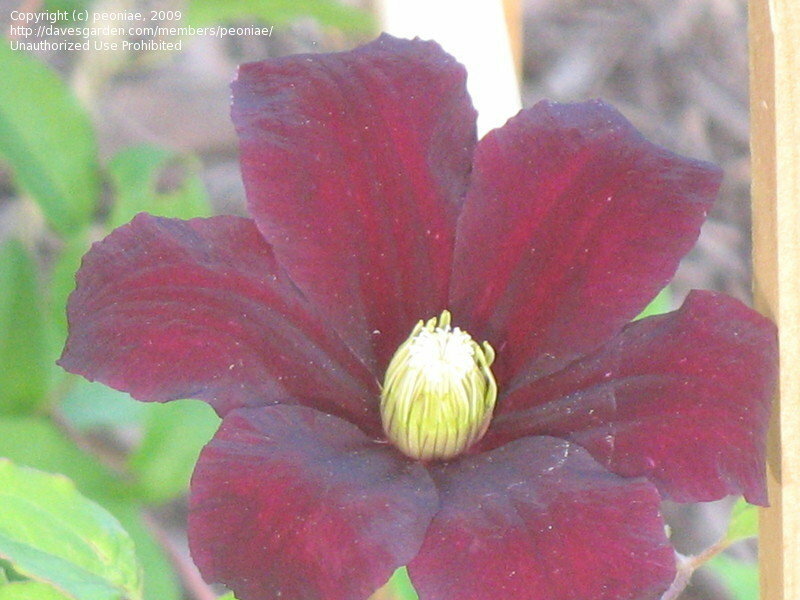 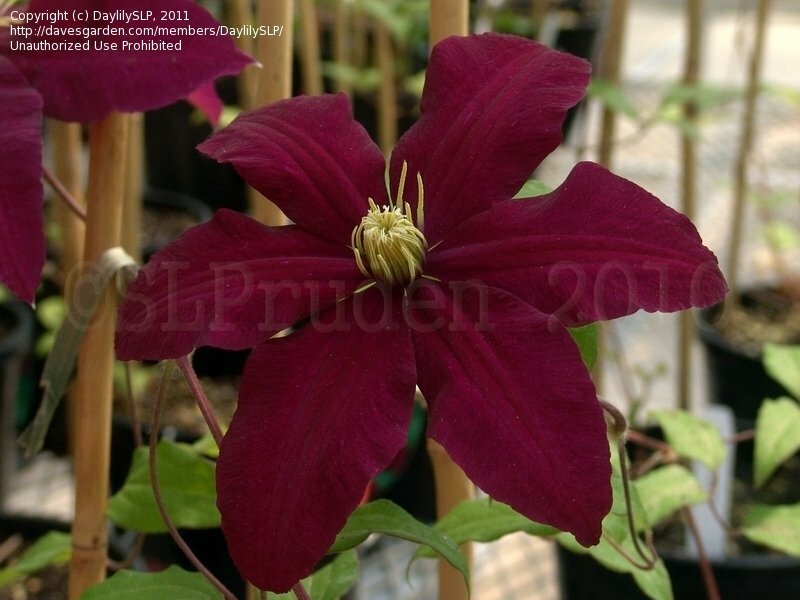 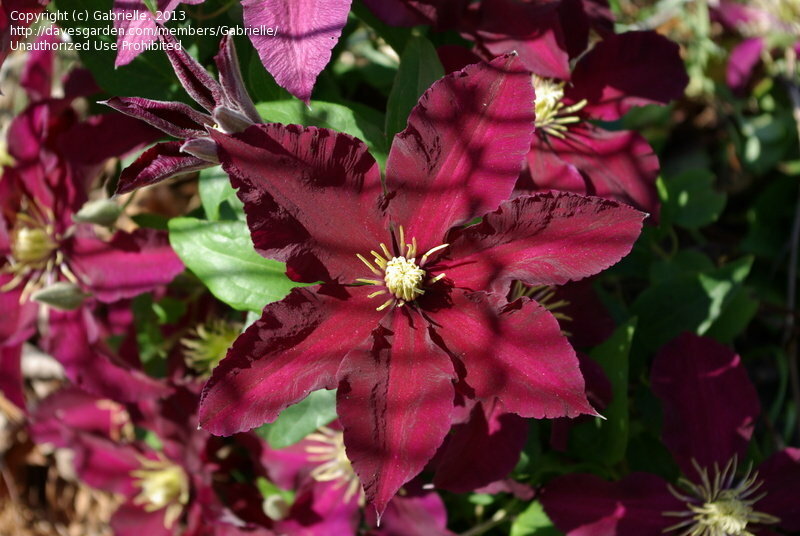 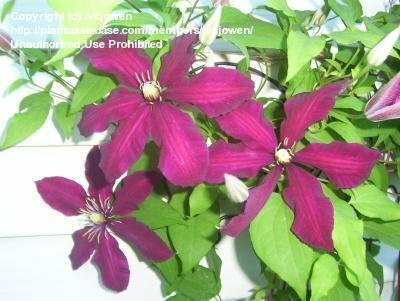 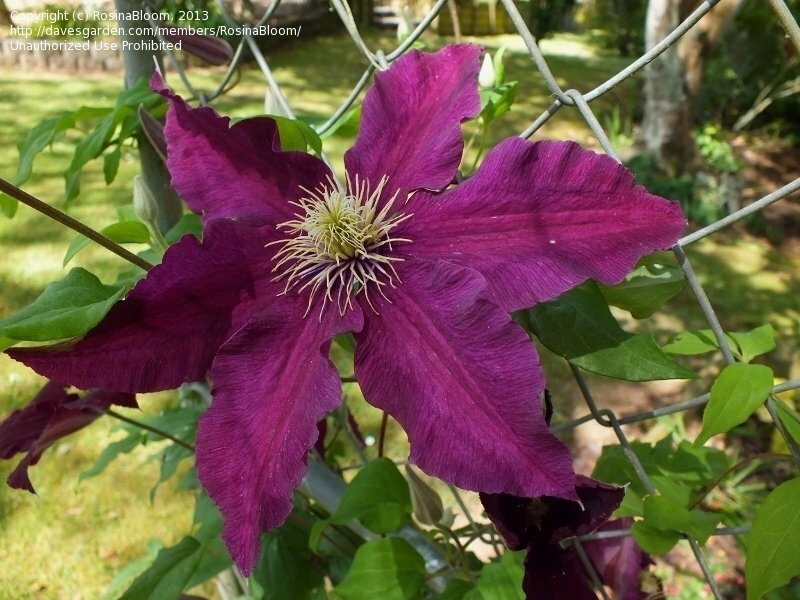 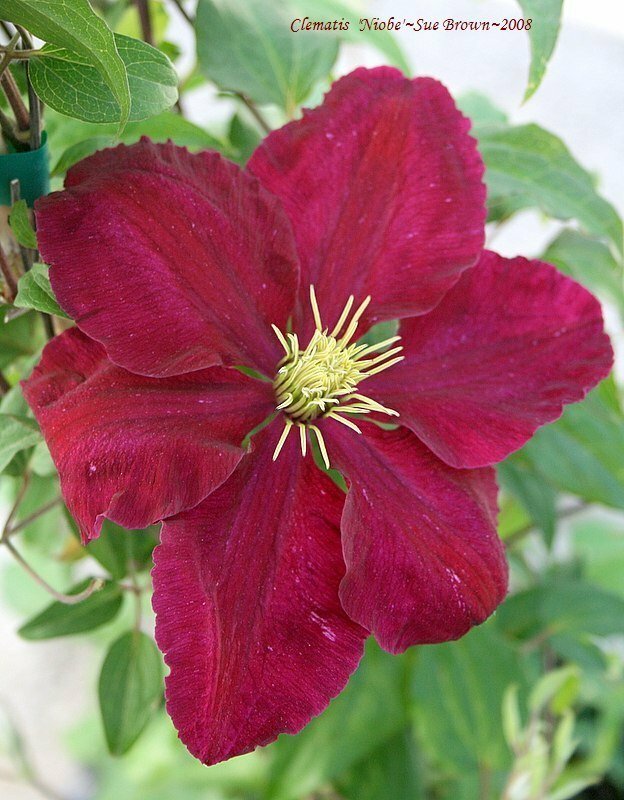 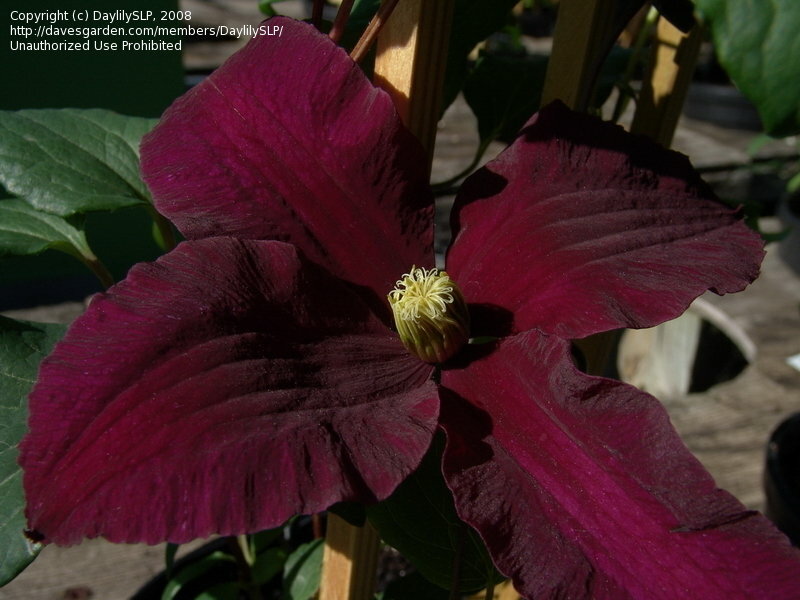 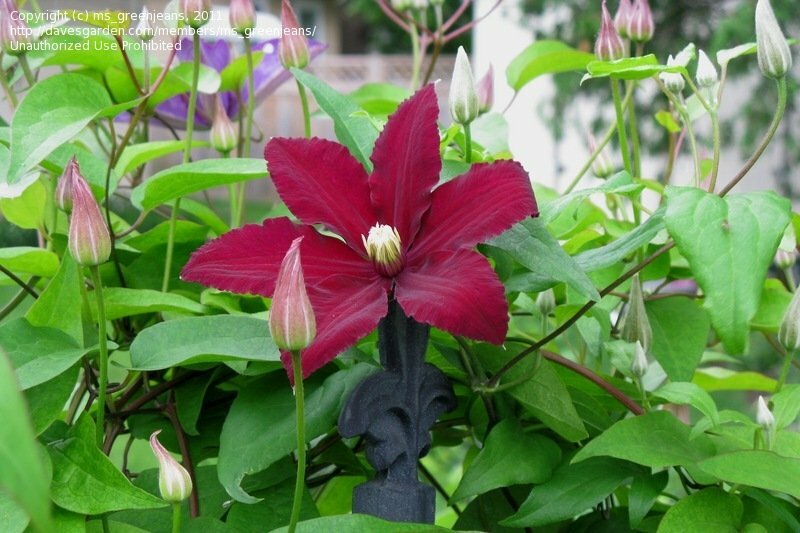 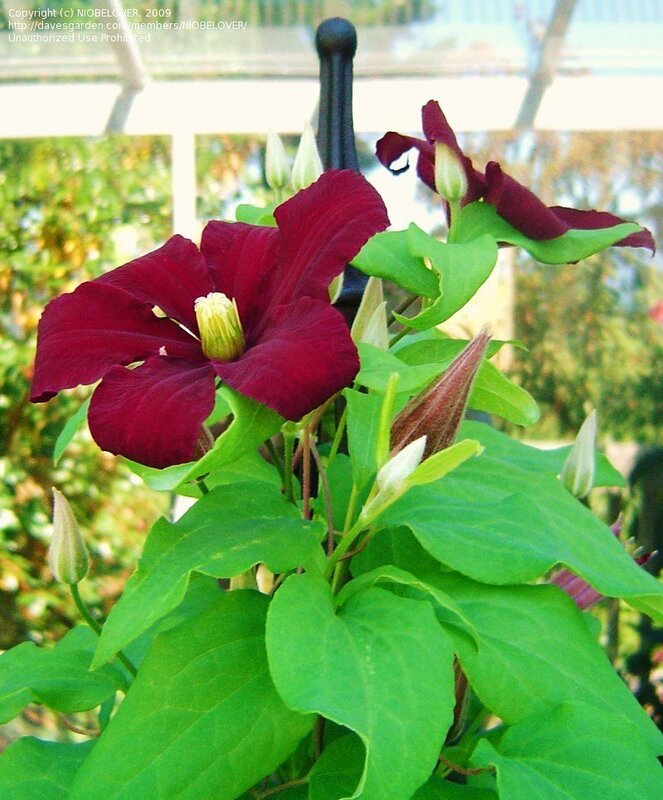 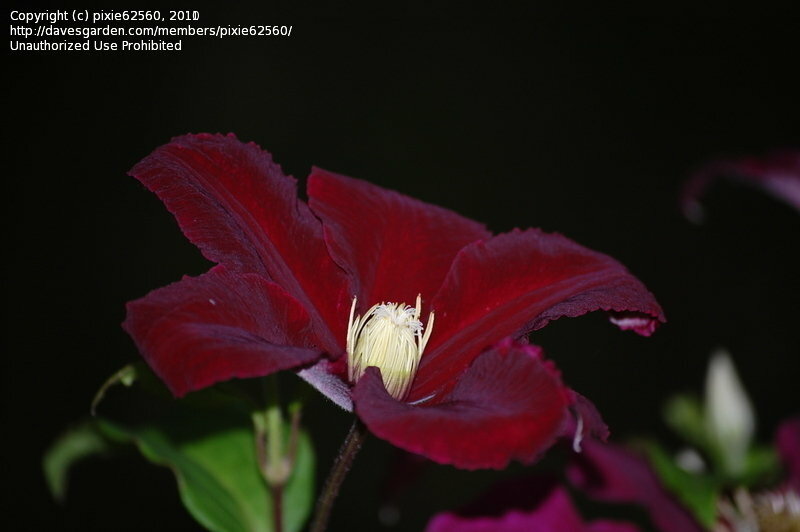 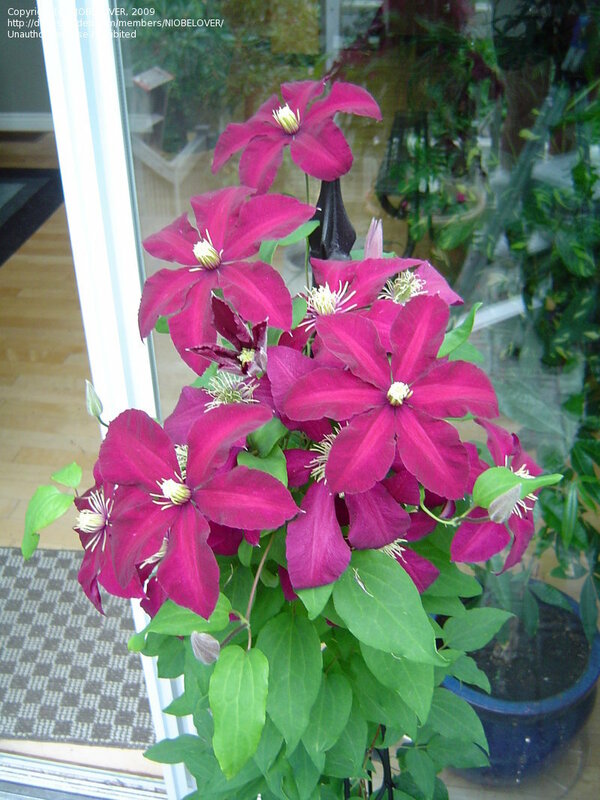 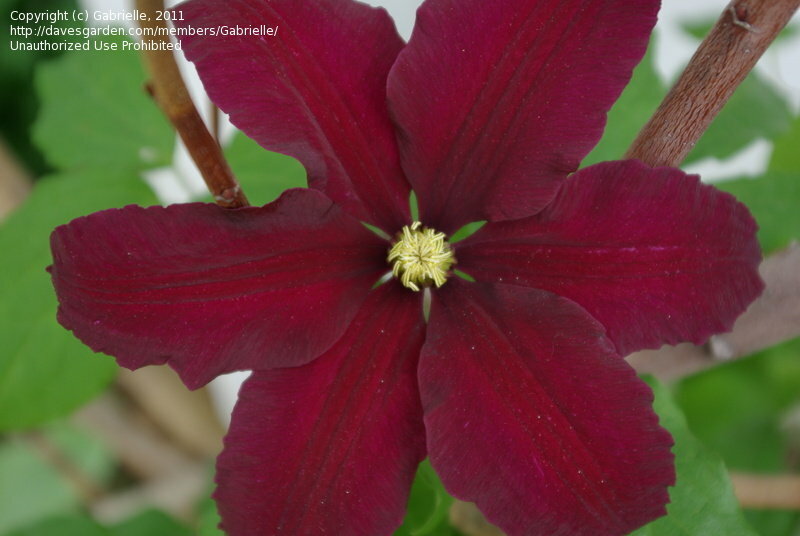 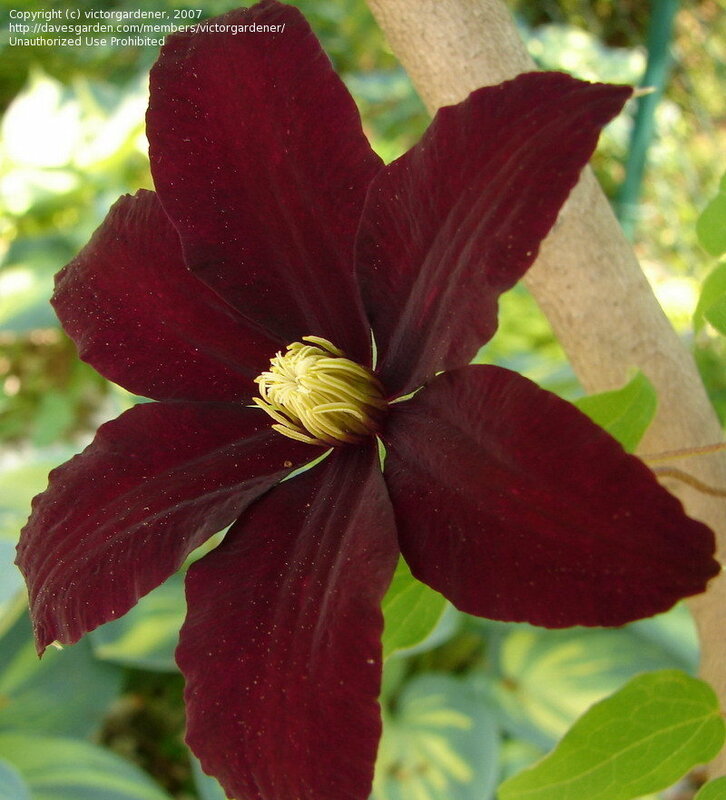 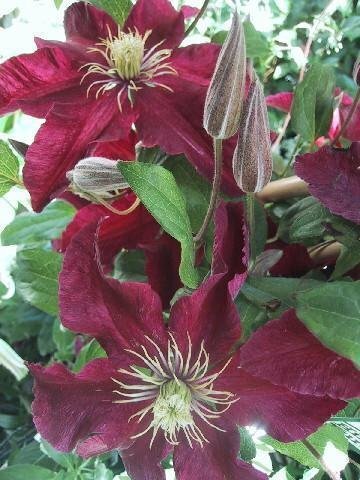 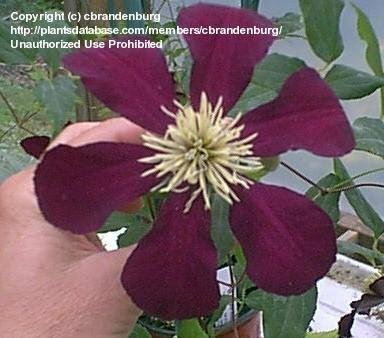 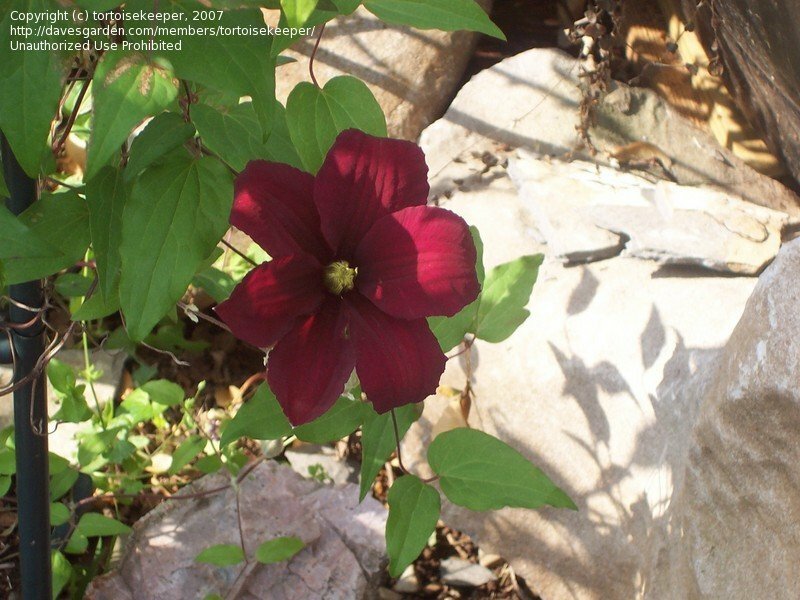 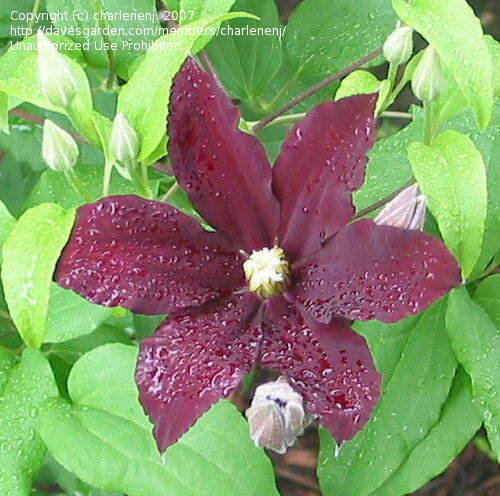 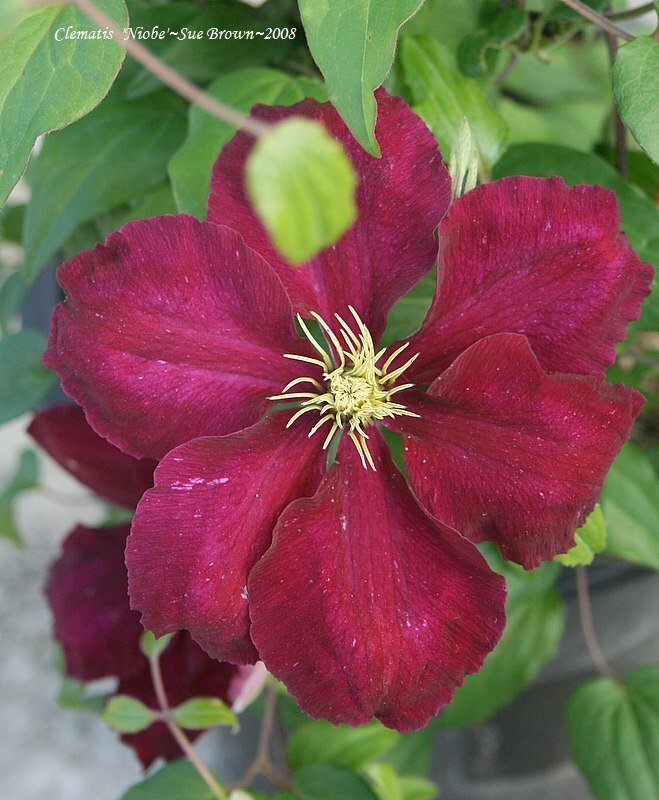 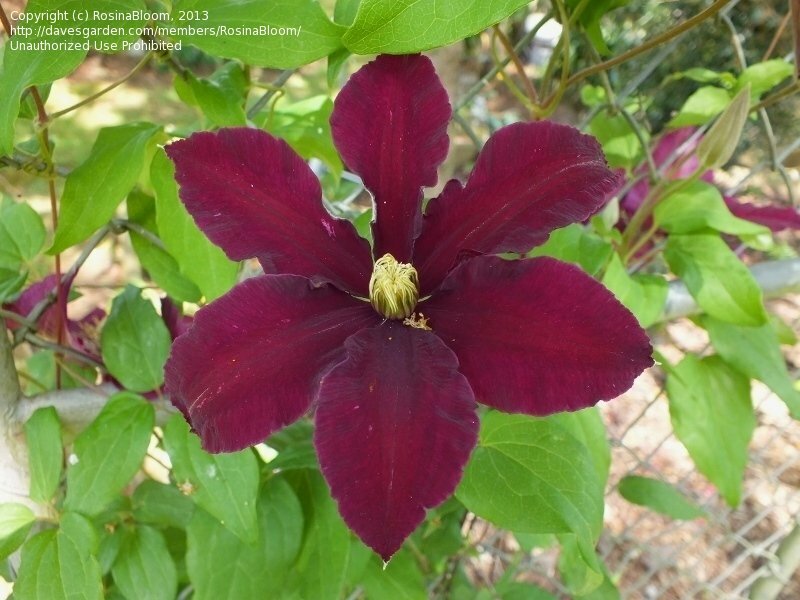 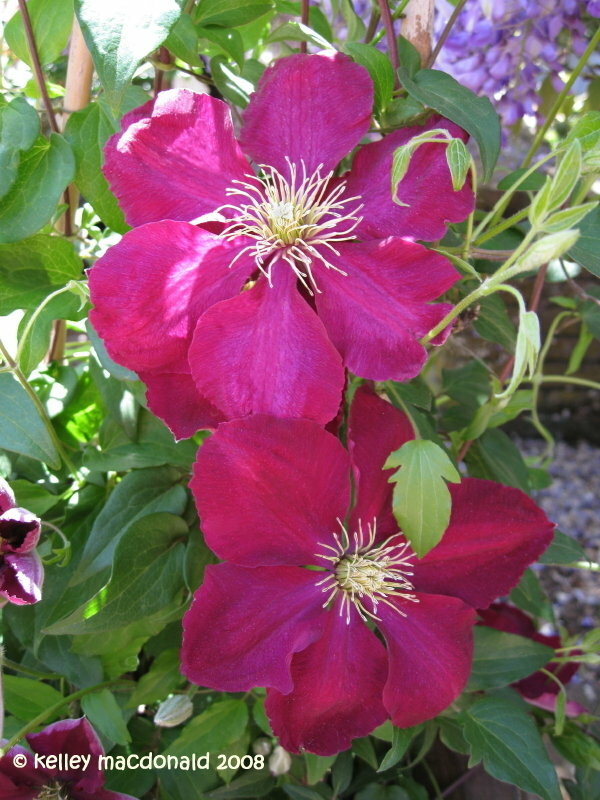 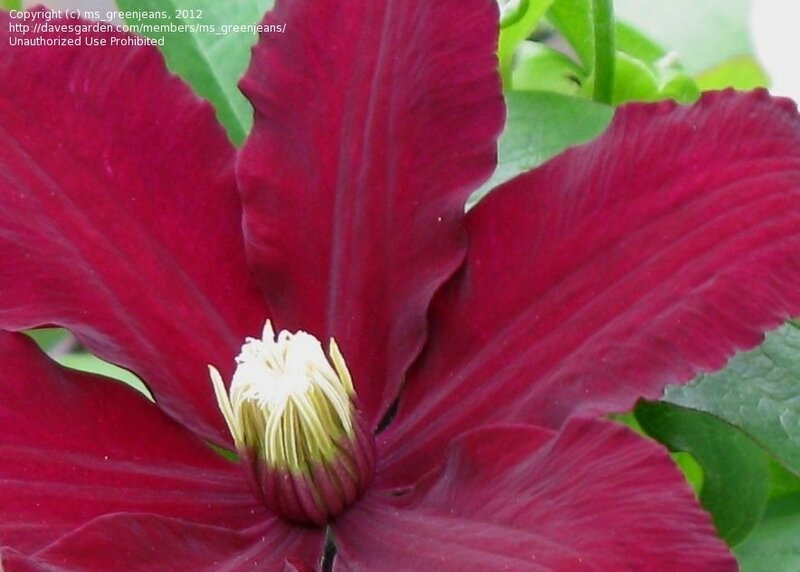 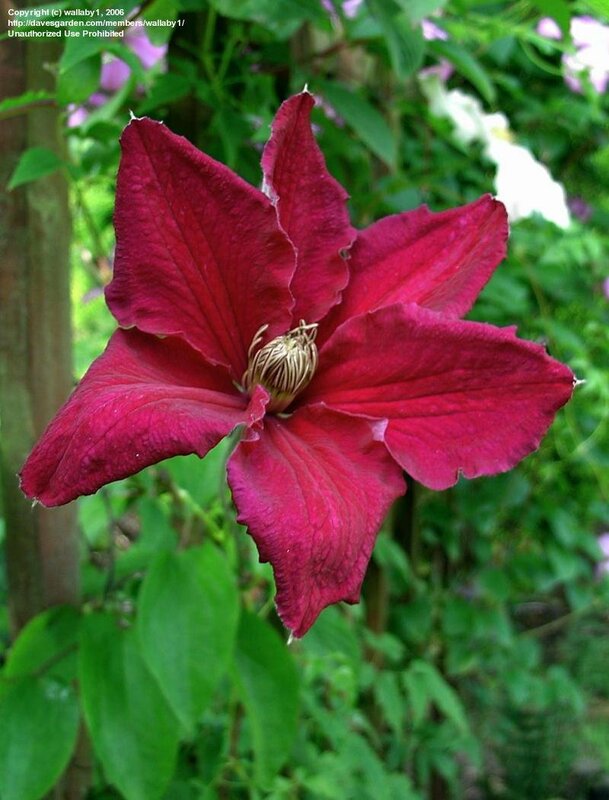 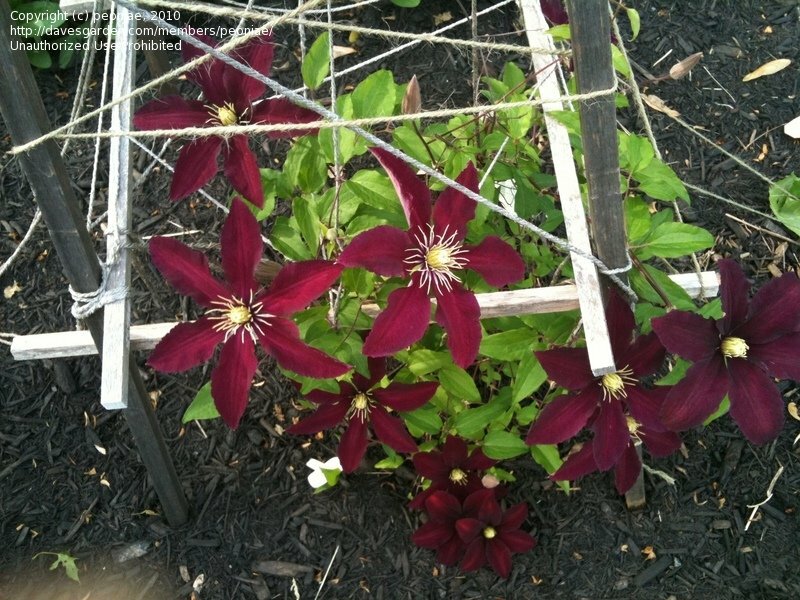 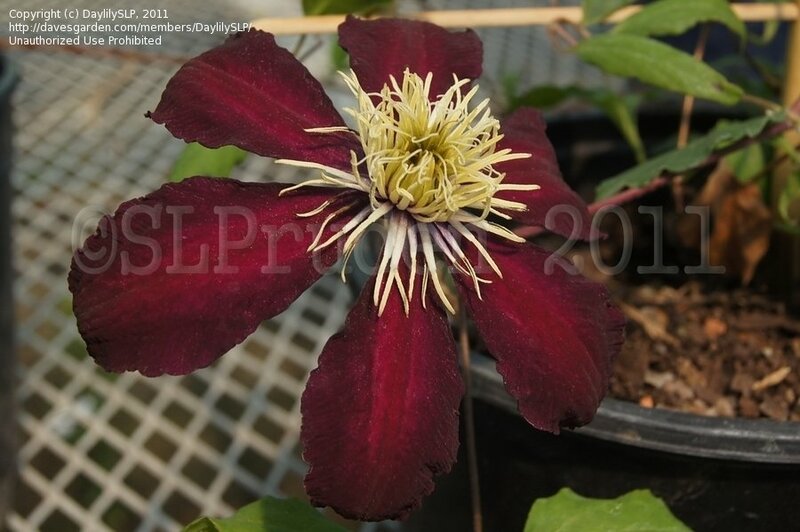 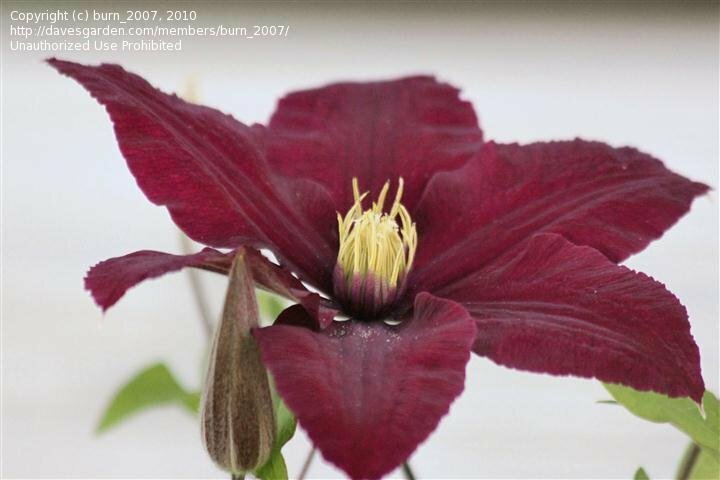 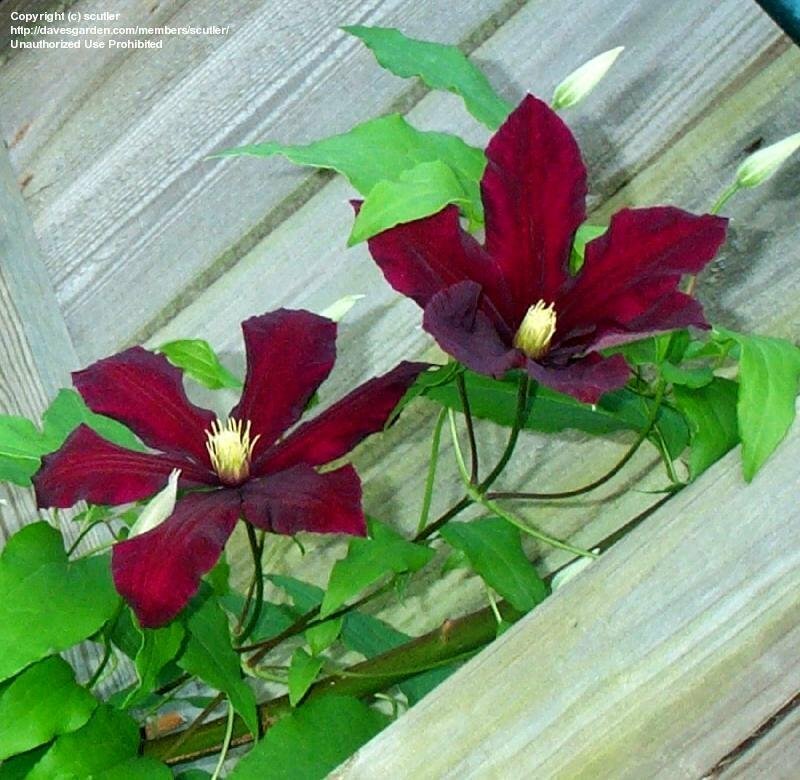 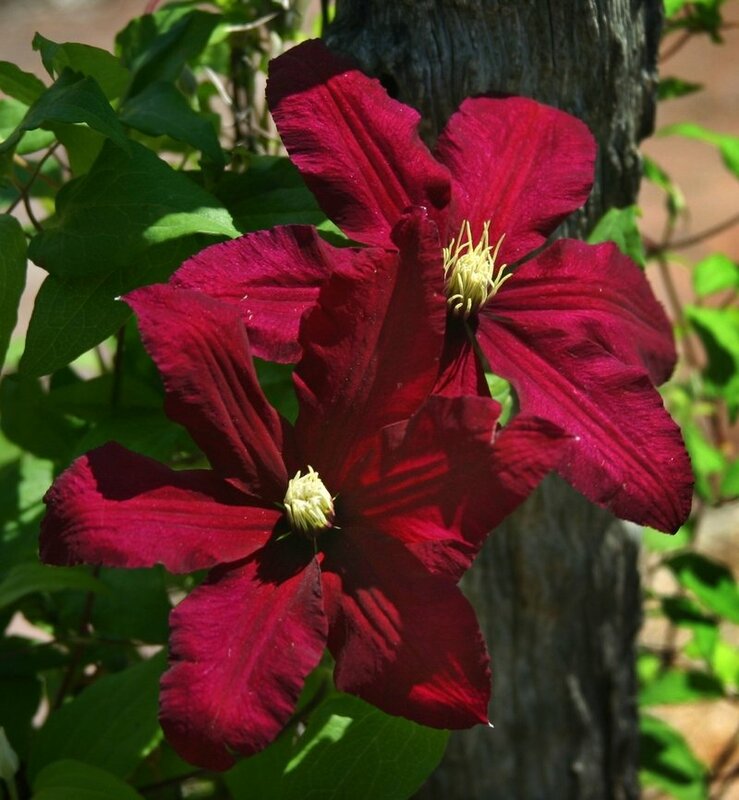 Rich velvety burgundy red color, nice growth, tons of flowers! 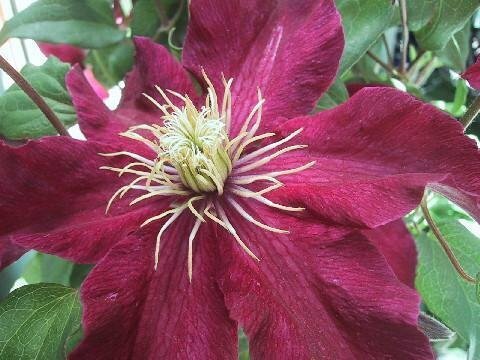 Taken 6th June. 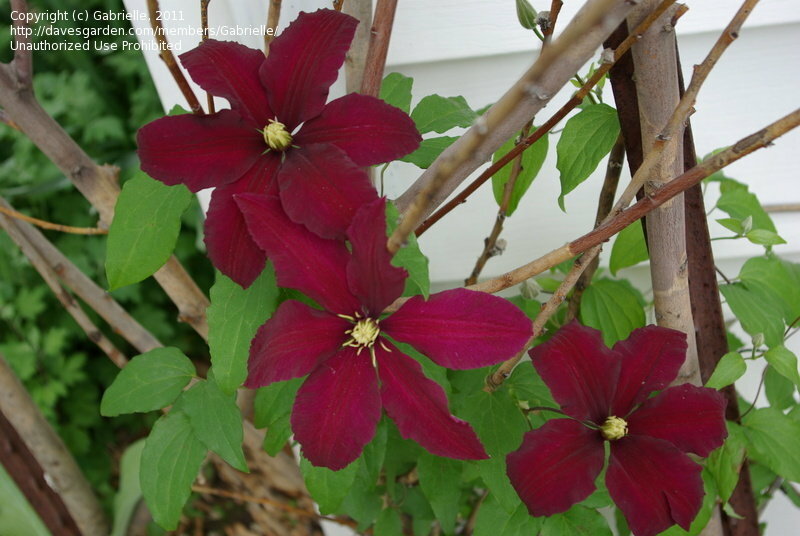 Has been slow to flower well but grows tall, perhaps ground cover is needed. 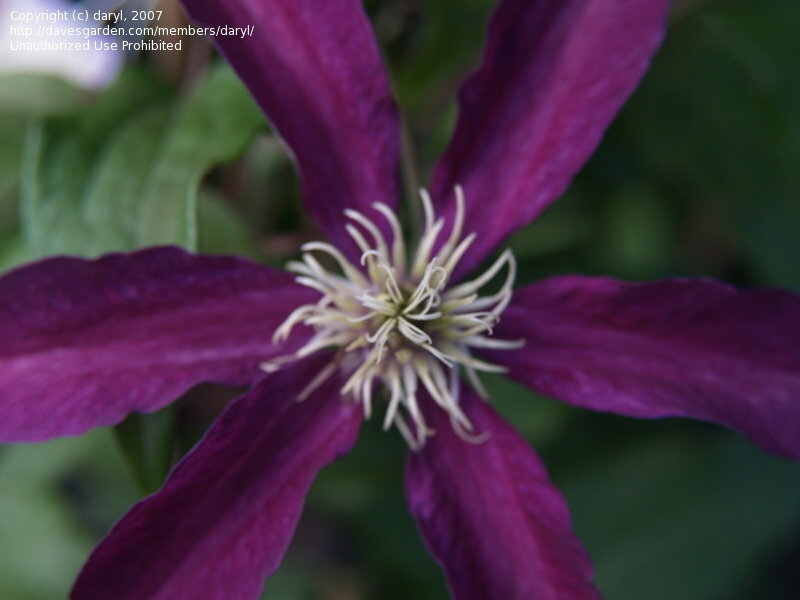 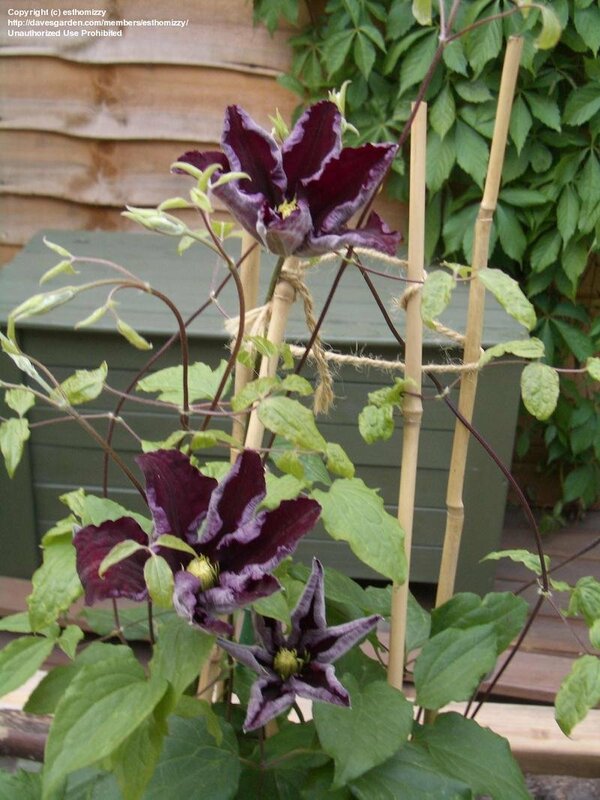 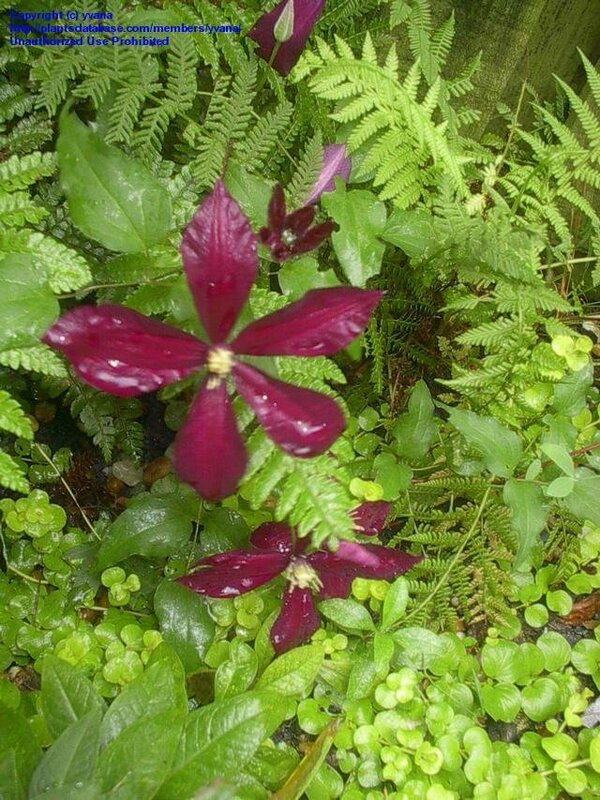 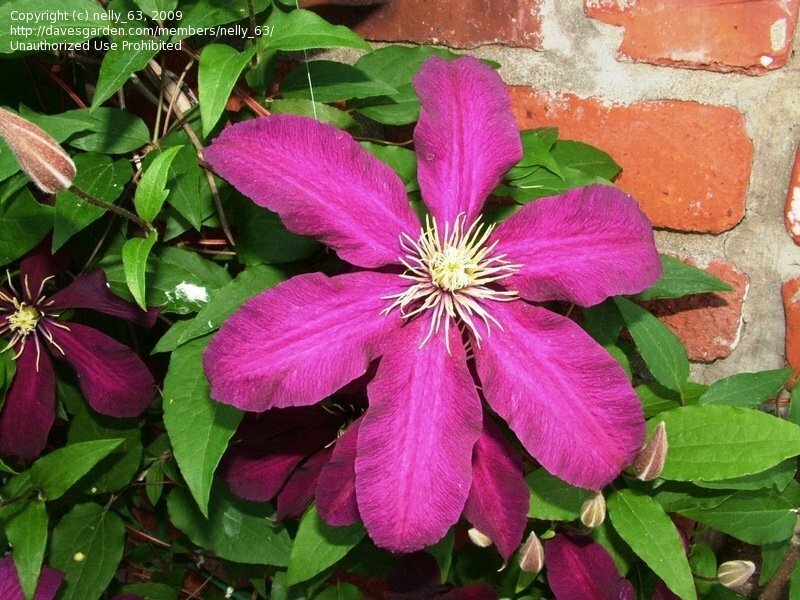 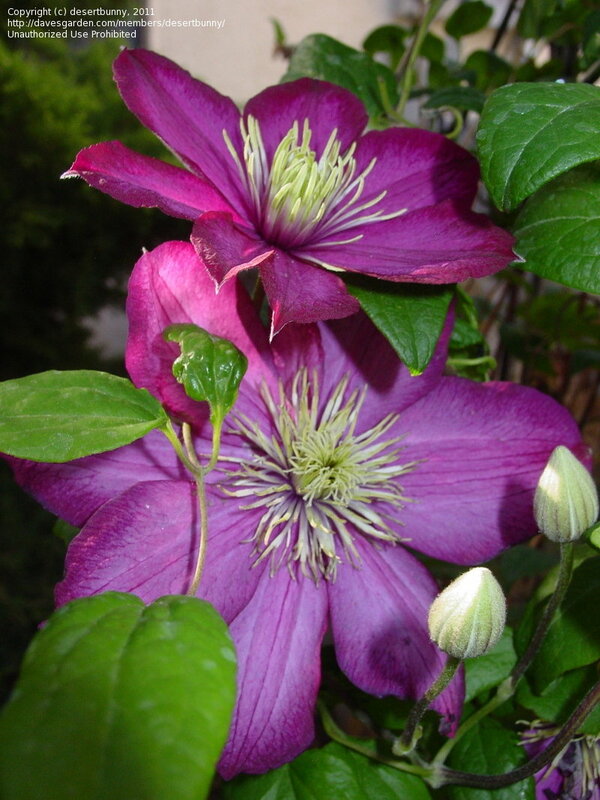 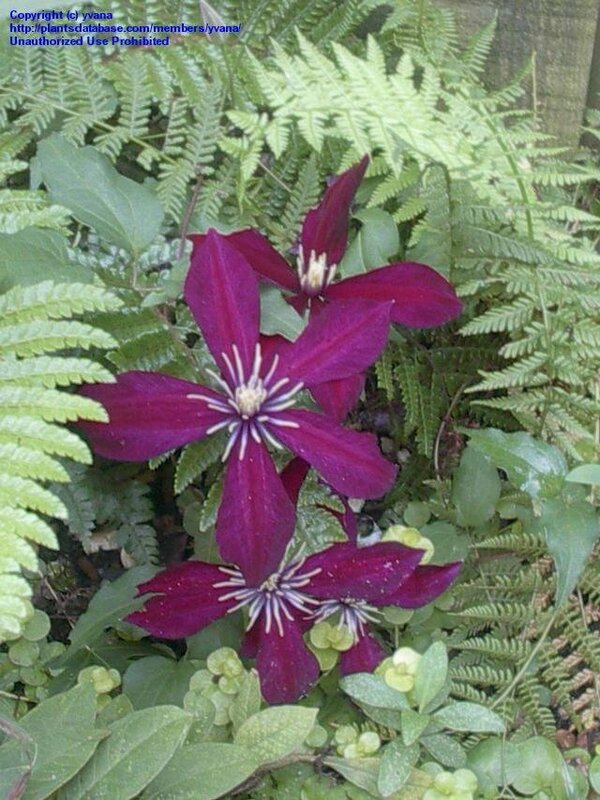 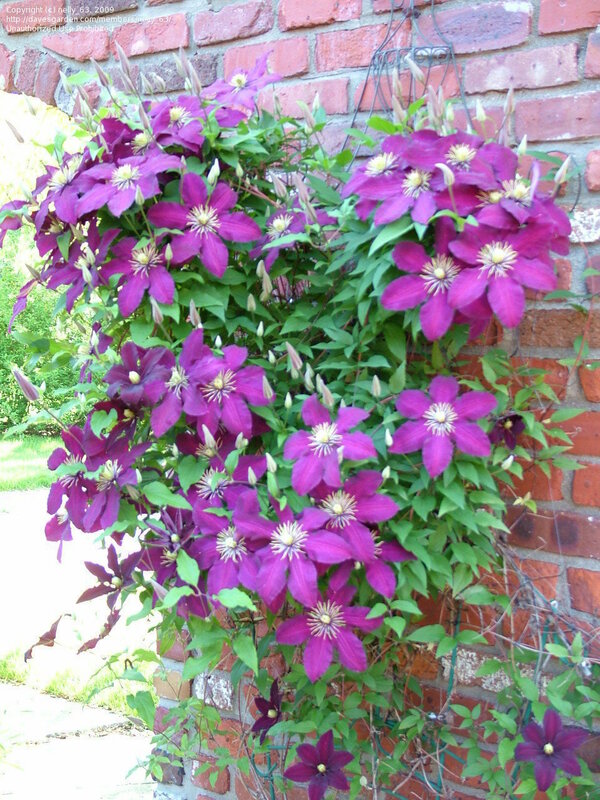 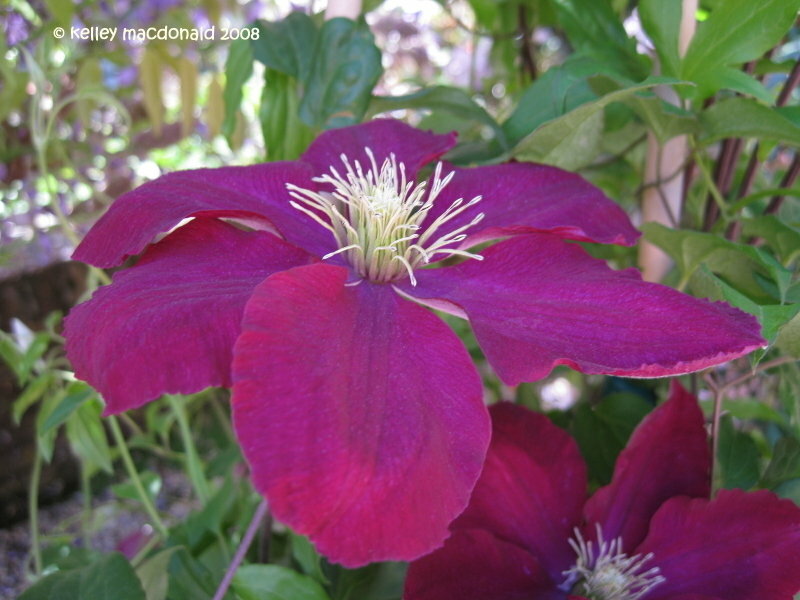 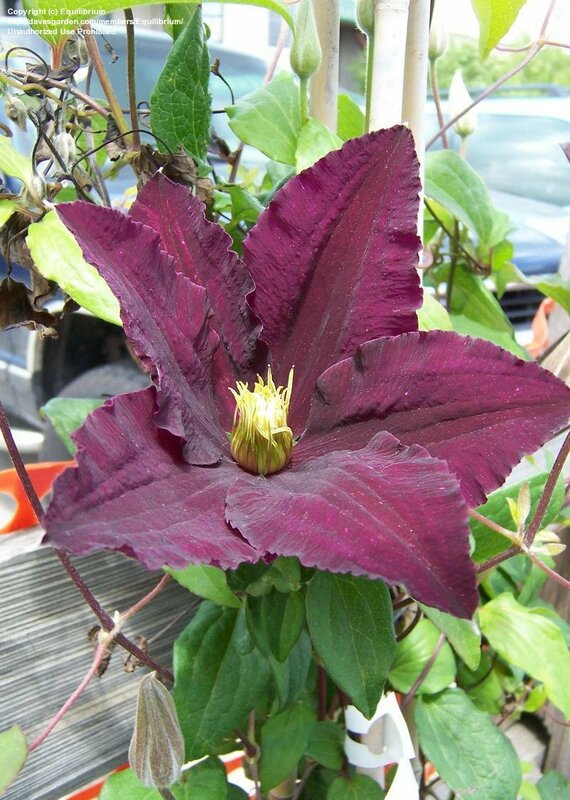 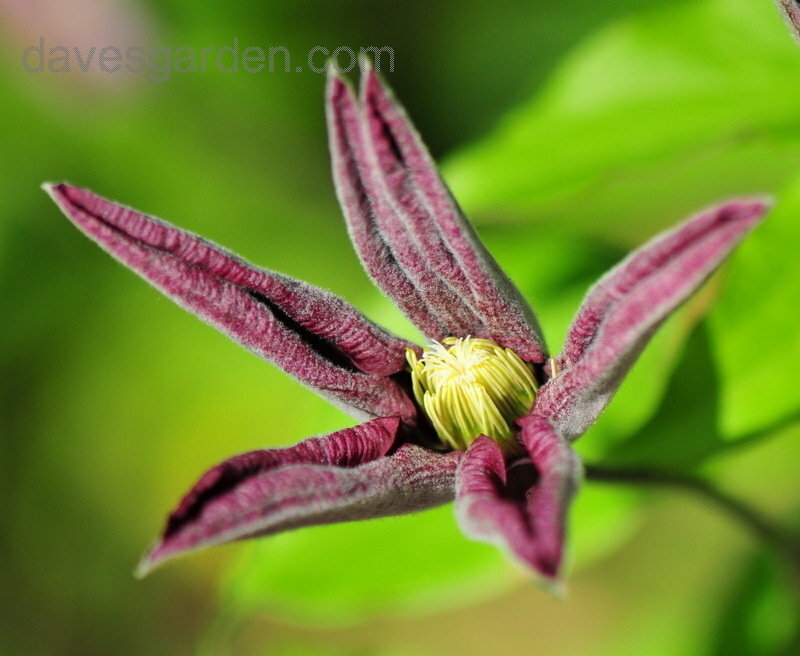 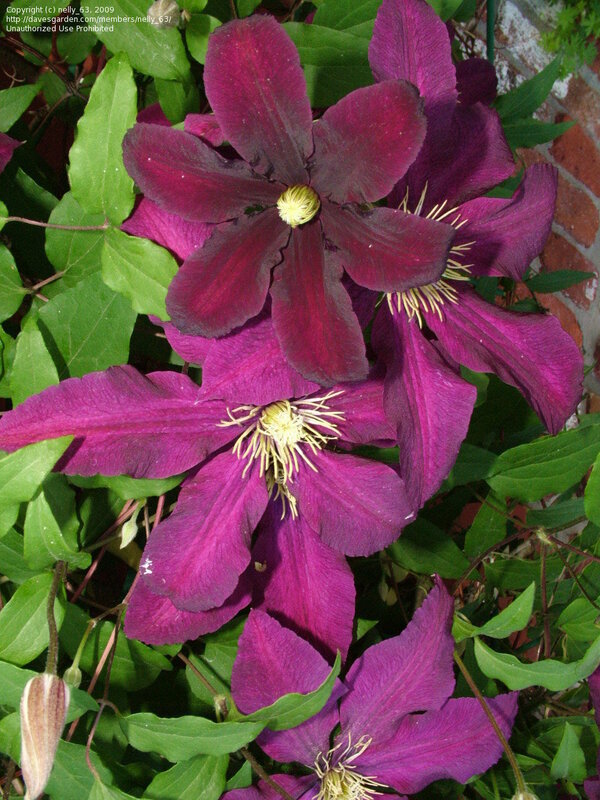 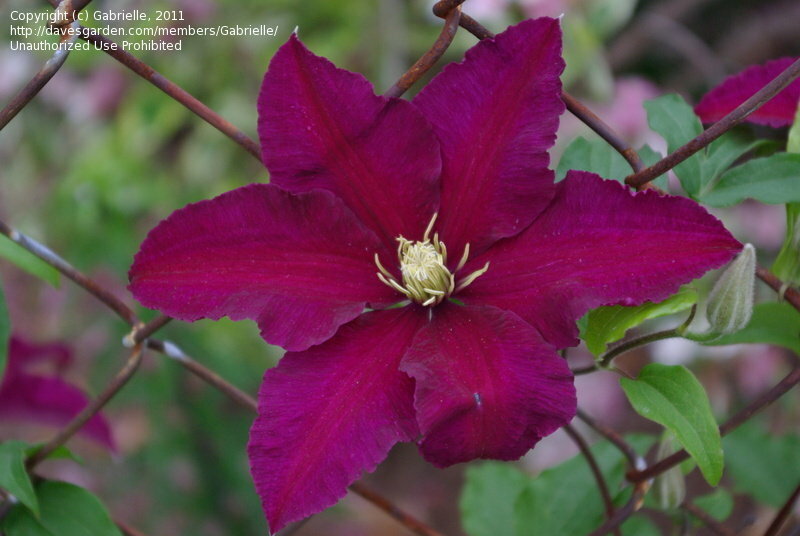 Fledgling clematis. 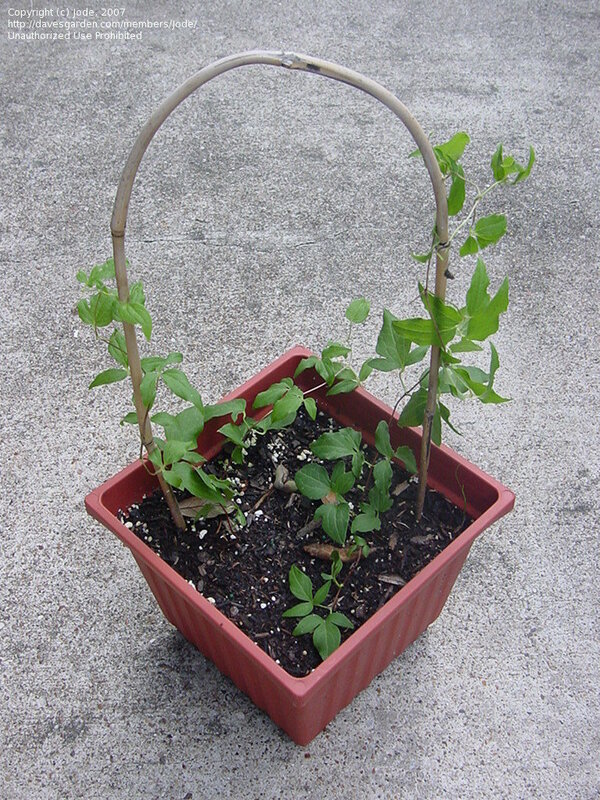 Can't wait for this baby to mature! 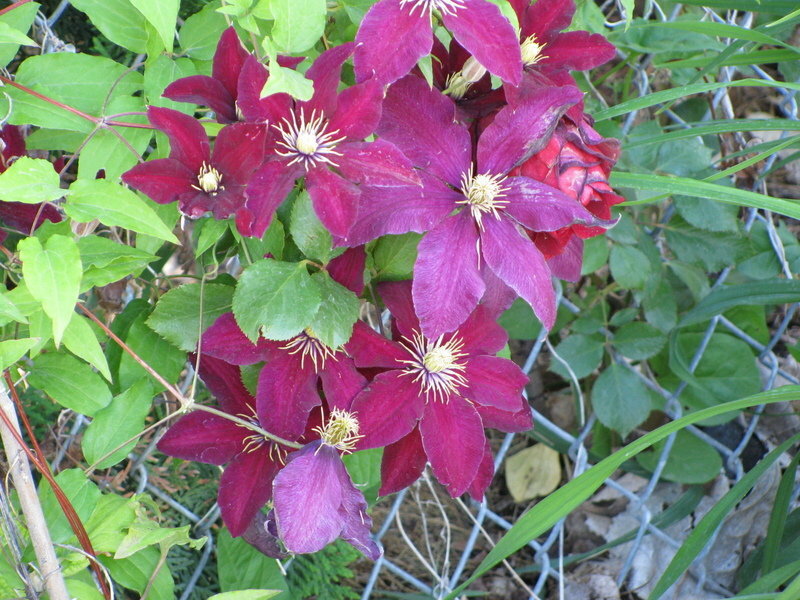 The color reminds me of long-stemmed roses. 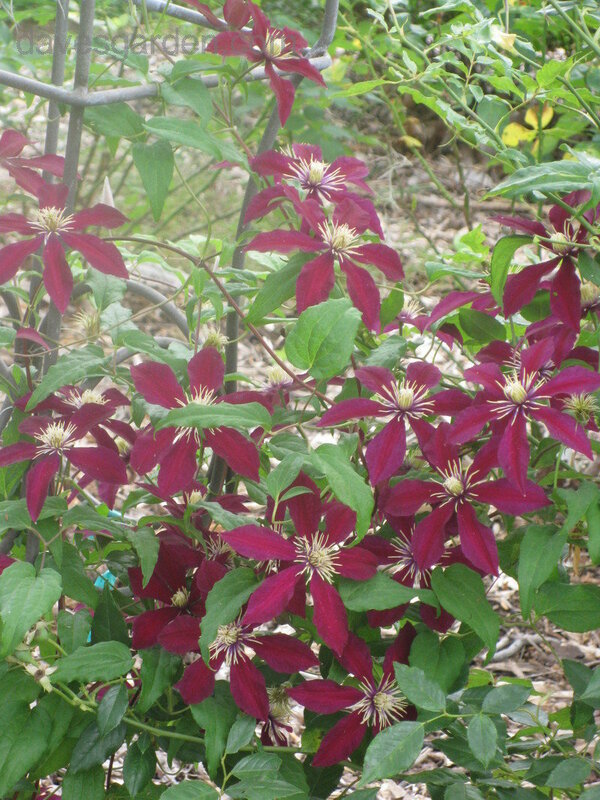 As the blossoms age the get lighter and brighter. 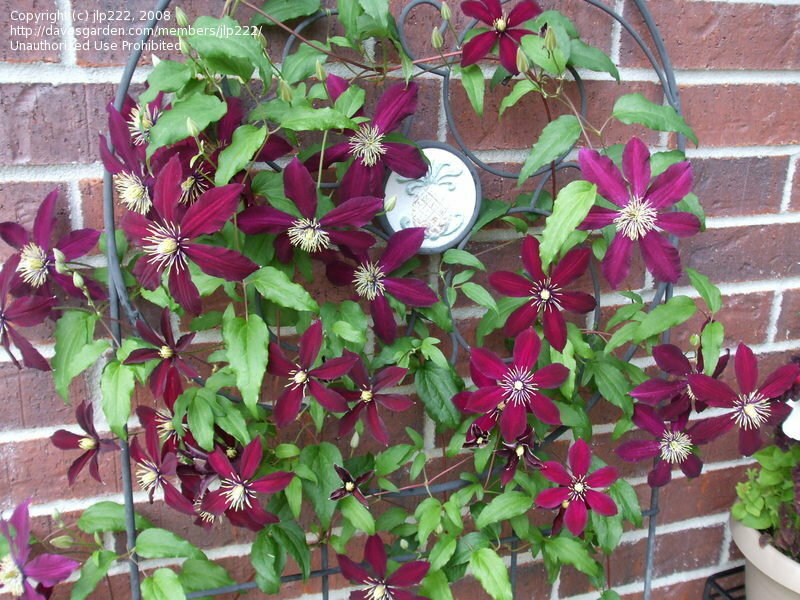 My Niobe climbing a trellis on a south facing wall. 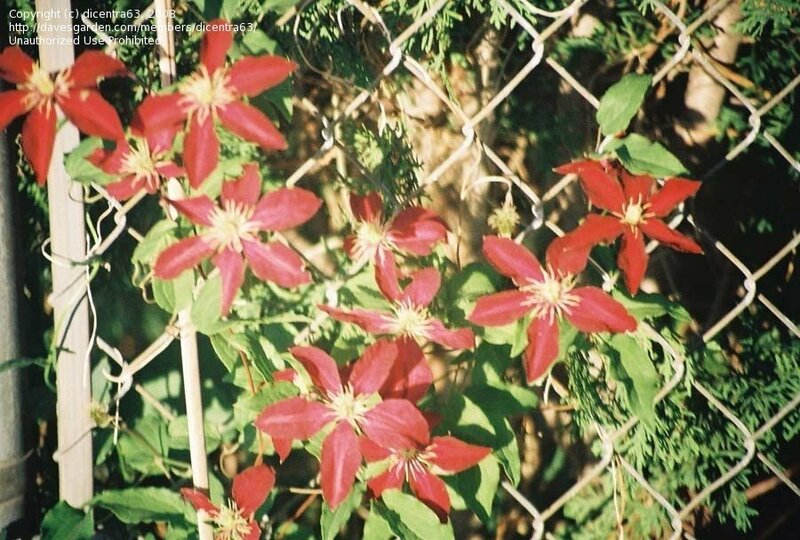 The film or the developing process shows it brighter red than it is; true color is dark red. 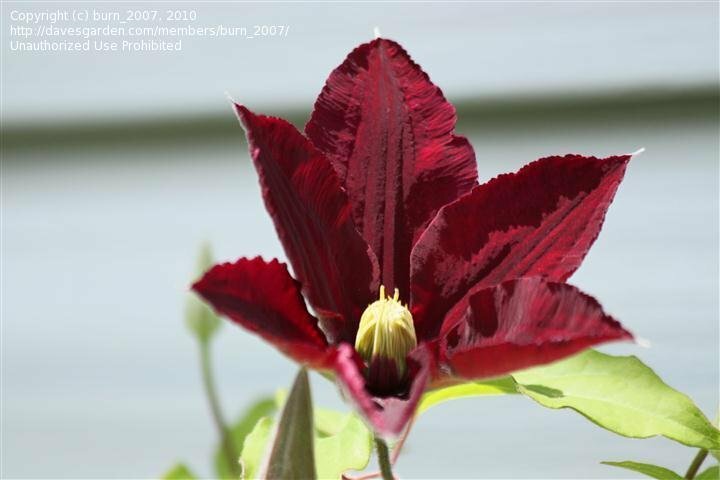 THE TOP OF MY NIOBE ON JULY 1st, HAPPY CANADA DAY, EH! 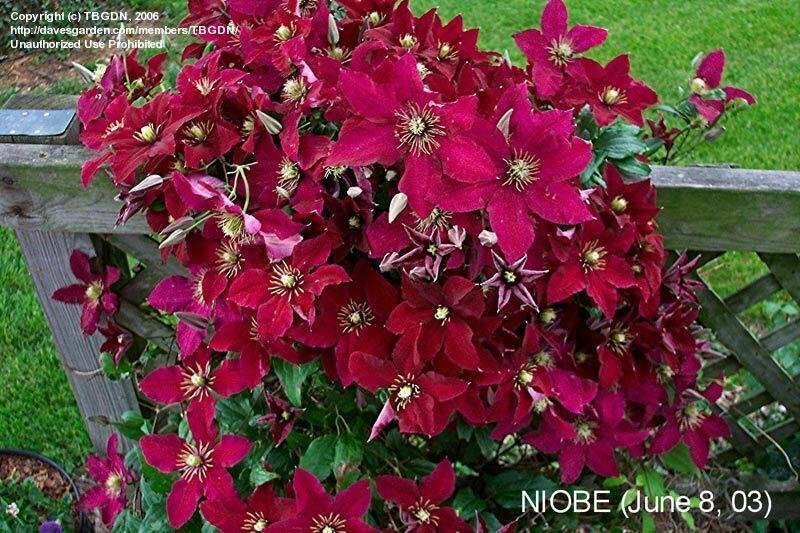 JUST THE OTHER SIDE OF MY NIOBE! 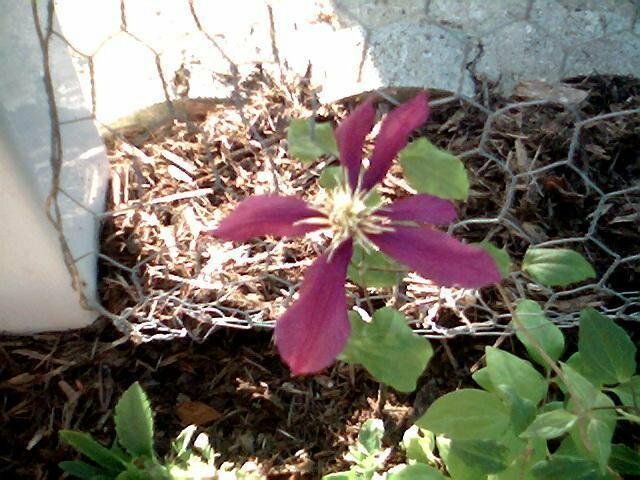 This is just 2 weeks after the first shot I posted and look at all of the blooms now! 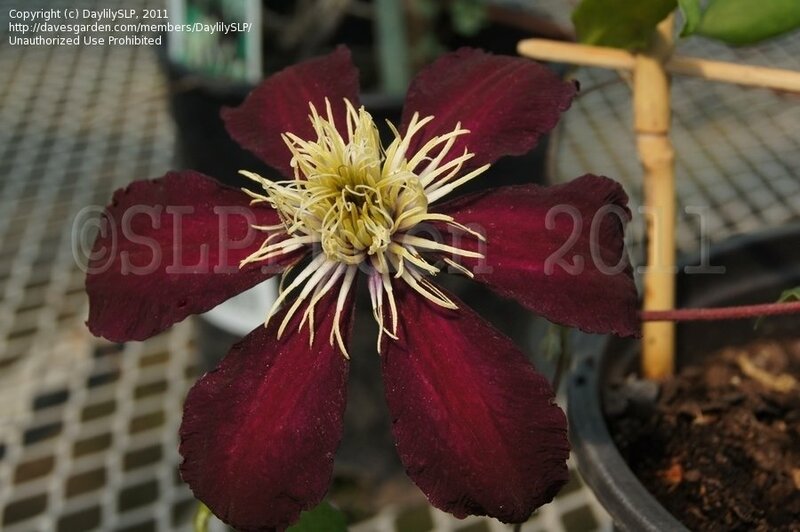 This one open in June for me. 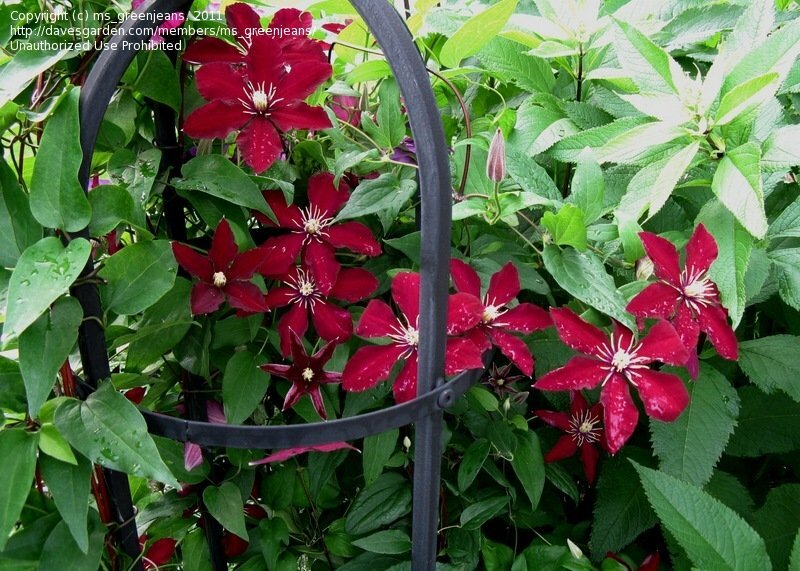 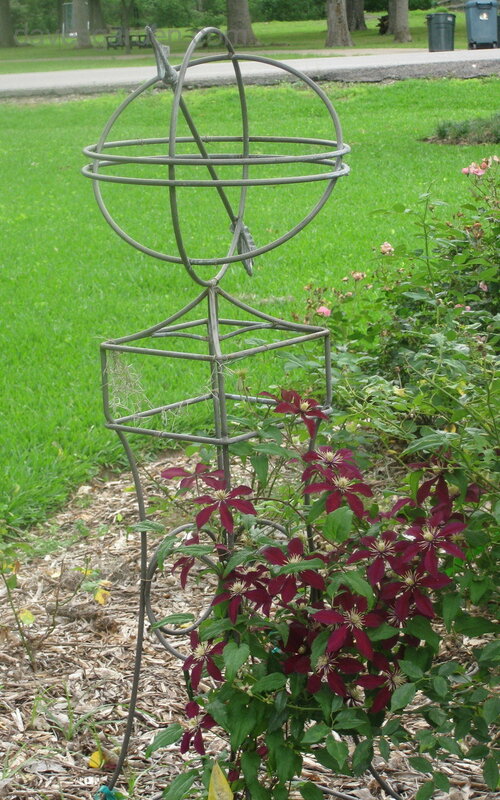 Zone 7 on a trellis behind a 5' rockwall, flowers exposed to seasonal winds averaging 20-30 mph/stronger gusts.